There are currently an estimated 372,400 radiologists in the United States. The radiologist job market is expected to grow by 11.4% between 2016 and 2026. 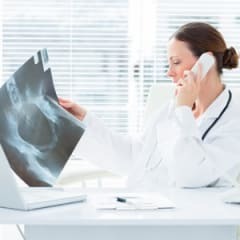 CareerExplorer rates radiologists with an A- employability rating, meaning this career should provide great employment opportunities for the foreseeable future. Over the next 10 years, it is expected the US will need 43,400 radiologists. That number is based on 42,300 additional radiologists, and the retirement of 1,100 existing radiologists. What’s the supply of radiologists?